Depression is a serious mental health condition characterized by prolonged feelings of extreme sadness, anxiety and loss of interest in everyday life. If you have depression, your doctor will likely prescribe antidepressant drugs, psychotherapy, or a combination. Ginkgo biloba is an herb sometimes used as an alternative treatment for depression, but there is a lack of conclusive evidence to support a role for this herb in the treatment of depression. Talk to your doctor before using ginkgo biloba to treat depression as it can cause side effects and interact with other drugs. Ginkgo biloba is a one of the longest-surviving trees in the world, the leaves of which are used to make herbal remedies. Medline Plus, a service of the U.S. National Library of Medicine, notes that this herb is primarily used to treat conditions characterized by reduced blood flow to the brain. However, Medline Plus adds that it also is sometimes used to treat "thinking" disorders like depression. The results of a study published in the November 2007 issue of "Phytotherapy Research" show that lipophilic extracts of ginkgo biloba leaves might have antidepressant and anti-stress effects. Findings of research published in the March 2005 issue of the "Chinese Medical Journal" also show that a combination of ginkgo biloba and the antidepressant drug venlafaxine might reduce stress-induced brain damage, a possible causative factor for depression. 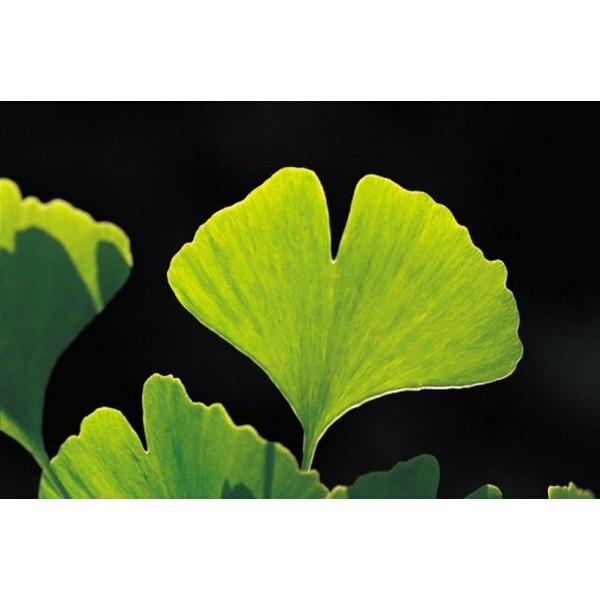 Ginkgo biloba can be consumed as a beverage or taken in capsules or tablets. The University of Maryland Medical Center website suggests taking 40 to 80 mg three times daily to relieve symptoms of depression. However, this should only be used as a guideline. Ask your doctor how much ginkgo biloba you should use and how often. Ginkgo biloba is probably safe for most people, Medline Plus notes, but it can cause minor side effects including dizziness, constipation and headache. Never consume raw ginkgo biloba seeds as they can cause seizures and might even be fatal, the National Center for Complementary and Alternative Medicine notes. Do not use ginkgo biloba if you have a bleeding disorder or are taking anticoagulant drugs as it can increase the risk of bleeding and bruising. You also should avoid this herb if you have diabetes or have ever suffered a seizure. Avoid this herb if you are trying to conceive because it might lower your fertility. Talk to a doctor if you are considering treating your depression with this herb. Based in London, Charlotte Waterworth has been writing about health since 2000. Her work has appeared in trade magazines, including "Independent Community Pharmacist," "Pharmafocus," "Current Drug Discovery" and "Hospital Healthcare Europe." She is a member of the European Medical Writers Association. She holds an honors Bachelor of Science in biochemistry and a doctoral degree in gene therapy, both from Cardiff University.